Even if you know or are a traveler who “has everything,” you will want to look over our Travel Gear and Gift guide. 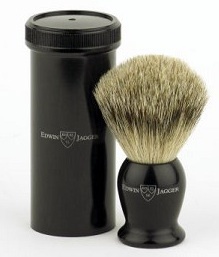 There are always new products coming out that can improve the travel experience. Like many travel enthusiasts, I favor taking only carry-on luggage. For any trip that may involve walking more than a few hundred meters with my luggage, I want a backpack-style bag without wheels. Wheels add weight, take up space and make it hard for the designer to make the bag comfortable. This rugged 40 liter pack is designed to fit within international airline carry-on requirements and it comes with a liftetime warranty. 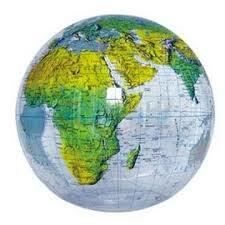 I’ve taken it all over the worldit has performed admirably. 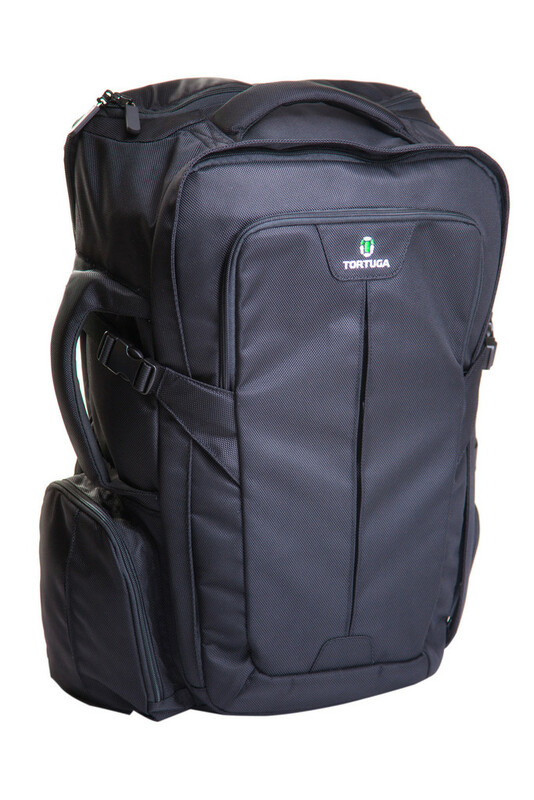 The Tortuga Travel Backpack is designed to exactly fit international carry-on standards; it even passes the bar of picky carriers like RyanAir. Unlike the Osprey 40 with it’s rounded organic shape, the Tortuga is almost rectangular. This results in a 44 liter capacity for a bag whose measurements exactly match the 22 x 14 x 9 inch carry-on size requirement. At $199, the Tortuga is $50 more than the Osprey but if you need extra space and somewhat better organization, it will be worth it. It comes with an original-owner lifetime warranty. 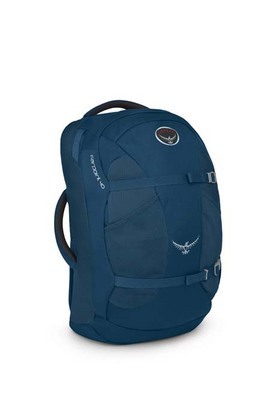 If you need a bit more space, the Osprey Farpoint 70 is a nice choice. It includes a removable day pack. The Farpoint 70 does not fit within carry-on size requirements. Expect to have to check it if you are on a full flight, if you’re flying with a picky airline or if the gate agent doesn’t like your looks. 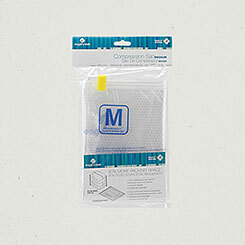 I take two of these tough compression sacs when I’m using a travel backpack. The sacs have a zip top at one end and an array of one-way valves at the other end. You put your clothes in a sac, seal it and then compress it to force all the air out the valves–I find that sitting or laying on it does the trick. My guess is that this reduces the volume to about 2/3 or less of what you can achieve by tightly rolling your clothes and stuffing them in your luggage. I start my trip with my clean clothes in one sac. As a garment is soiled it goes in the other sac, thus putting a double barrier between smelly soiled laundry and fresh-scented sparkly-clean clothes.The medium size works best with 40-44 liter carry-on bags. 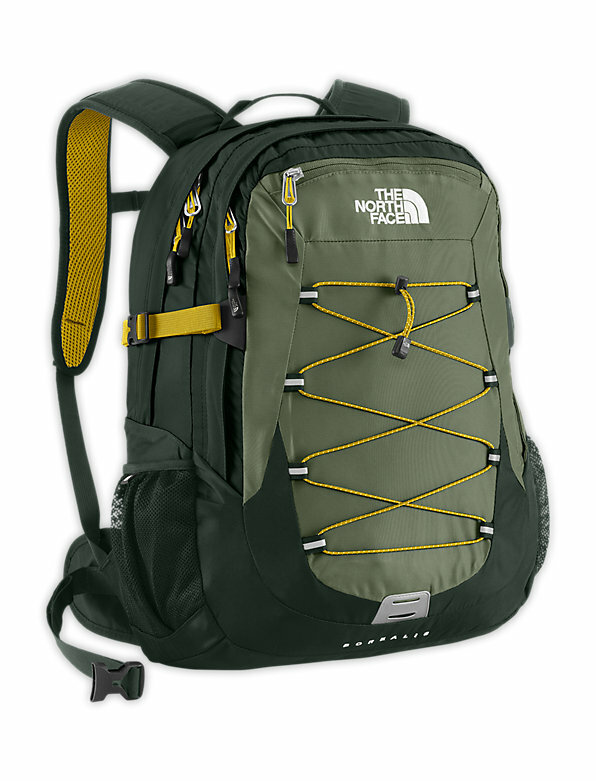 North Face makes excellent packs with lifetime warranties. I use this 29 liter daypack as the “personal item” that US airlines allow in addition a carry-on bag. 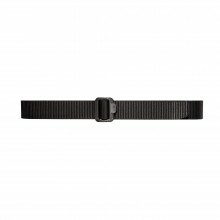 I bought this belt for traveling. 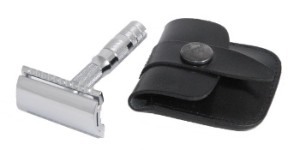 It’s super-tough and has no metal parts that require its removal when going through metal detectors. I like it so much I wear it every day. When I went fishing in Alaska, these fingerless gloves kept my hands from freezing into numbness while still leaving me enough dexterity to bait my hook. When the fishing was done, one trip through the washing machine removed the fishy smell and slime. Travel adventurers can find themselves in areas with no safe drinking water. This water purifier was designed to be cheap enough to distribute to low-income people world-wide who lack access to safe water. 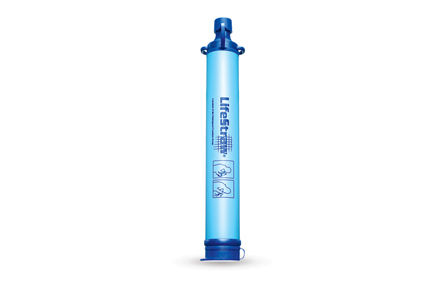 There are fancier pump filters available that are more convenient, but at $359 versus $19.95, you have to be a serious adventurer indeed to go for one. Cool kids use iPhones and tinkerers love their Androids. Travelers who value the highest quality photos, need to stay connected and only like to carry one device need a Nokia Lumia 1020. Experts at respected review websites like dpreview.com agree that the Lumia 1020 has the highest quality smartphone camera: “The Nokia Lumia 1020’s innovative zoom and impressive image quality set it apart from all competitors. By nearly every metric, it takes better pictures than any other phone on the market.” Here’s a 1020 snapshot I took on a recent flight. 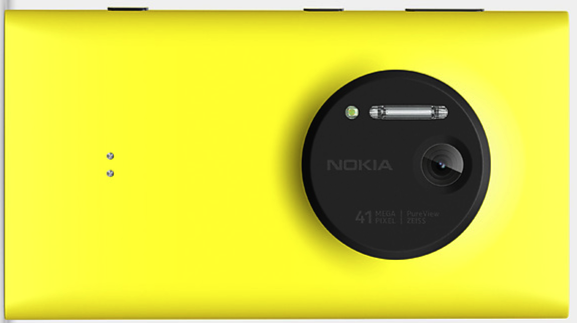 Nokia just released a firmware update that allows Lumia 1020 photographers to shoot in RAW format. This is important for serious photographers who manipulate images in post processing. Read more about the advantages of shooting in RAW using the Nokia Lumia 1020 here. Even Nokia can’t change the laws of physics, which dictate that dSLR cameras with larger sensors and lenses can beat the 1020’s quality. So I take two cameras when doing serious photo-traveling: my Lumia 1020 and a dSLR with a 55-300mm lens that I never remove. I probably take 80% of my pictures with the phone and use the SLR only when I need a really long lens, such as for wildlife photography. Between the two devices I can capture pretty near any scene I come across. Unless I’m heading out specifically to shoot photos, I leave the SLR locked up in my room; it’s great to not have to lug around bulky camera gear. This Camera Grip is a nice accessory for the Lumia 1020. 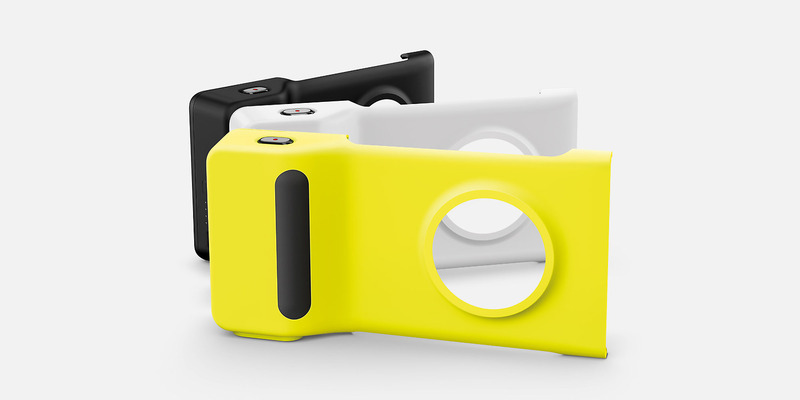 The large gripping surface and shutter button transform the user experience to that of using a dedicated camera. The built-in battery provides additional juice for extended photo shoots and the tripod mount is useful for shots that require a long exposure. I’m a big guy. This carbon fiber trekking pole easily supports my weight on hikes through rugged terrain. Its rubber foot can removed to expose a tough carbide tip that provides traction on slippery rocks–it saved me from a couple of falls descending the steep path from Moon Hill in Yangshuo China. 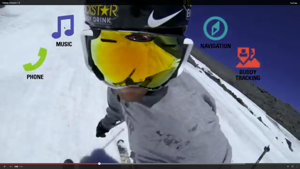 Best of all, you can remove the head to expose a camera mount, turning the pole into a monopod. It is important to have a steady support when you’re shooting with a long lens and in low light conditions. For example, this fall I used the monopod feature to take great 300mm telephoto night-time photos of our high school football team and marching band from the bleachers. While traveling through scenic territory, I constantly have my smartphone camera activated so that I don’t miss a photo opportunity. I may also shoot lengthy video sequences. No smartphone battery that I know of can go a full day when used like this. That’s why I carry an external USB battery pack to keep the phone charged up. On one flight across the United States, I took dozens of wingshots, switching between camera and GPS mapview. It was cool to identify each area I photographed on the map. The phone was running these battery draining applications nearly the whole flight, a scenario I could only accomplish by plugging it into an external battery. 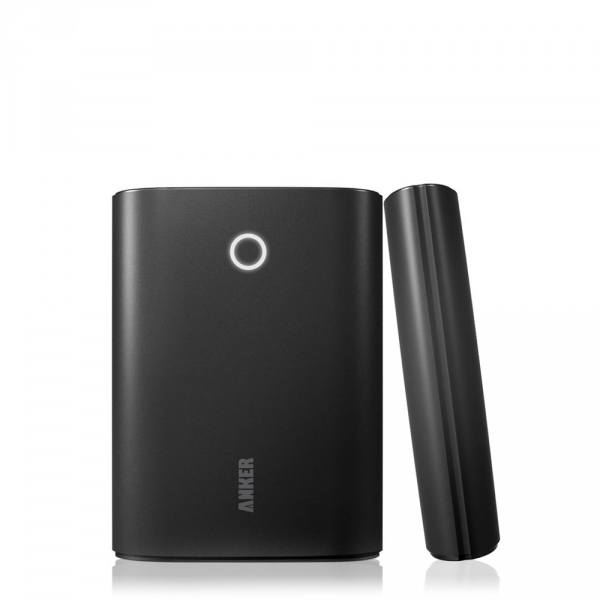 You need a device like this high amperage battery pack to charge tablets when you’re away from a wall socket. 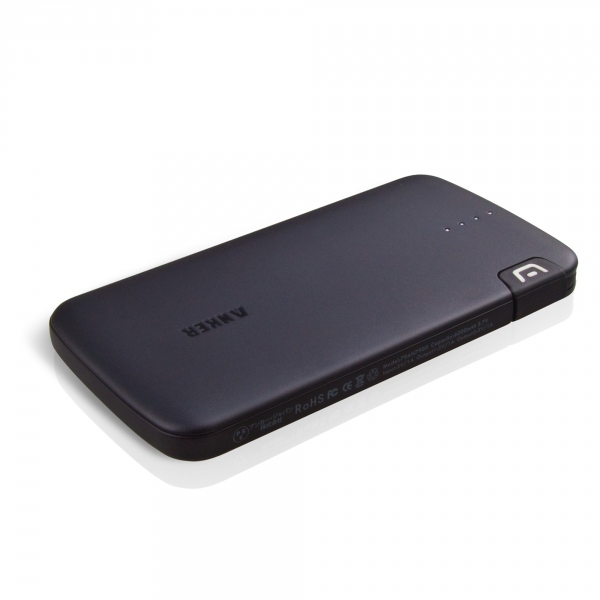 This one is powerful enough to charge up to three tablets, smartphones or other devices at once. At the end of a busy travel day I frequently need to charge multiple devices and battery packs. 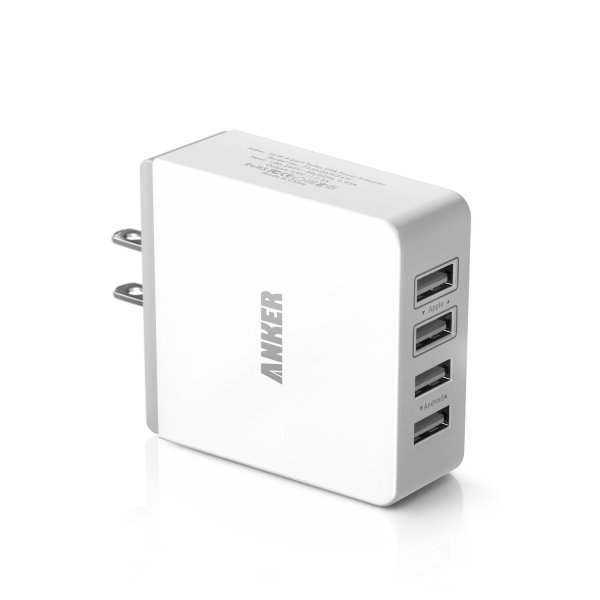 This AC wall charger has the juice to resurrect all of them simultaneously. 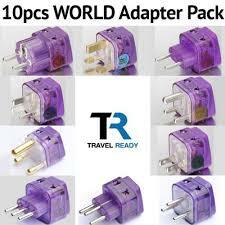 There are lots of different travel adapters on the market. Many people like all-in-one contraptions with levers that slide the correct prongs out for each country. I prefer this set instead. The all-in-ones have a higher failure rate and I really don’t want to be left in a situation where I can’t use my mobile devices. You will rarely need to take more than 2-3 adapters to cover the countries visited on a given trip. The purple color is actually a utilitarian design feature; it makes the adapter easy to spot when you’re doing that last sweep of your hotel room and checking to see if you’ve forgotten to pack anything. 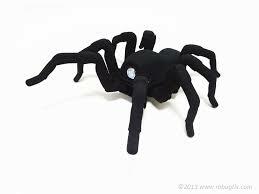 I asked for one of these for Christmas this year. My plan is to hang it above my desk at Expedia. 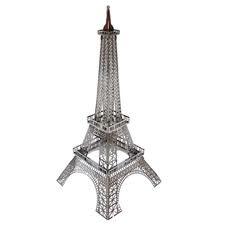 If your favorite traveler enjoys crafts or model building, s/he might get a kick out of a Metal Earth laser-cut metal model of a famous point of interest like the Eiffel Tower. 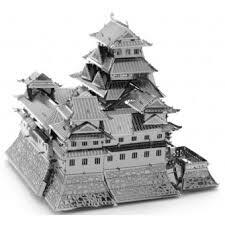 How about a model of the Himeji Castle, the largest castle in Japan and a UNESCO World Heritage Site? 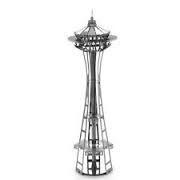 Give the gift of the Seattle Space Needle. Almost any travel enthusiast would appreciate a model of one the world’s most famous and luxurious hotels. My colleague Dora recommended these high tech Bluetooth ski goggles with integrated heads-up display, social networking and entertainment system. The gals in our office love their tech just as much as the guys.